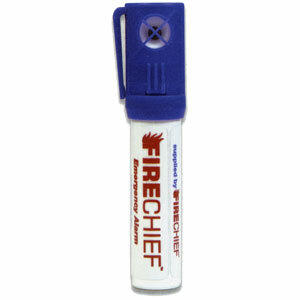 The slimline aerosol alarm is a well proven favourite for many applications and environments. Simply depress the cap to emit a 130db screech. Easy to use and carry with integral pen type clip.